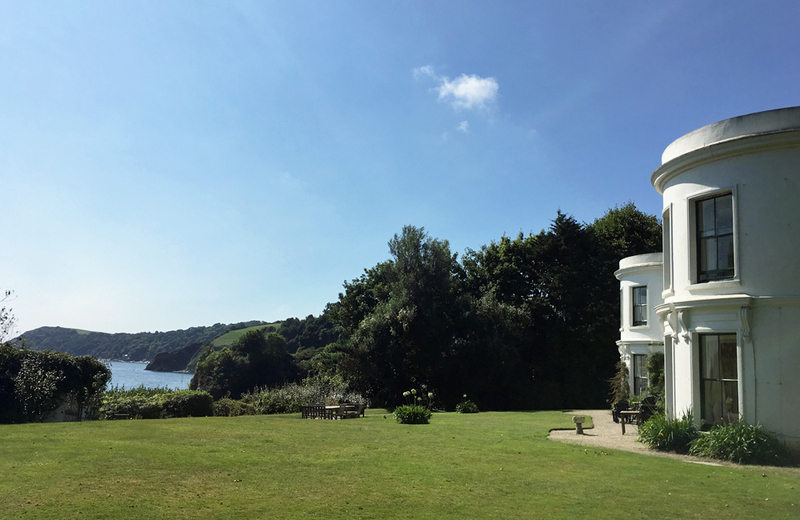 Muddy says: The perfect place to get your gang together and make memories in Cornwall, this impressive holiday home sits in camellia-filled gardens overlooking Porthpean Beach. 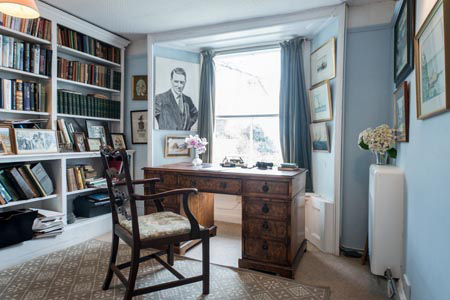 In so many novels and films set in Cornwall, the story unfolds in an amazing family home, a stone’s throw from a sandy cove. And if you’ve ever dreamed of holidaying in your own knock-out beach house, well you can! And it’s more affordable than you might think. 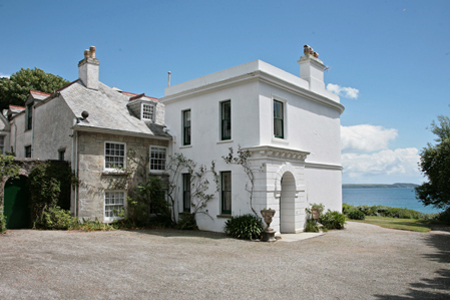 Porthpean House – or The Big Beautiful Beach House as the owners call it – may look familiar. Richard Curtis chose it as the set of his movie, About Time. After scouring the UK coastline for a suitable location, he chose this Grade II-listed property perched above Porthpean Beach, no doubt won over by the stunning views, beautiful gardens and quiet beach, accessible via a private path from the property. 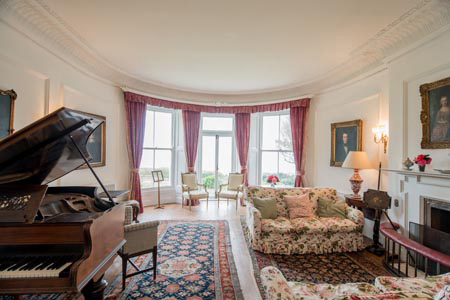 The ideal setting for a holiday with friends or a special family celebration, the house sleeps 21, with eight bedrooms (and you can hear the sea from all of them).There is also a separate lodge on the estate that sleeps six, if your party is a little bigger. 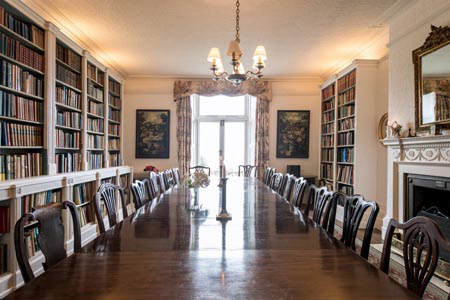 Grand but comfortable, the interiors are in keeping with the period features, think floor-to-ceiling book shelves, family portraits, a roaring fire and grand piano. There are plenty of sociable spaces, including a large dining room with a long banquet table and a family-friendly lounge that kids will love, with doors onto the lawn. 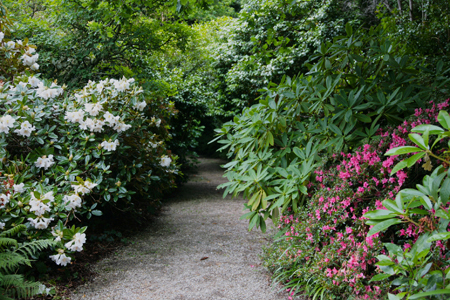 You can walk to the famous port of Charlestown in about 20 minutes along coast path and some of Cornwall’s most popular attractions – The Eden Project and The Lost Gardens of Heligan – are just a short drive away. 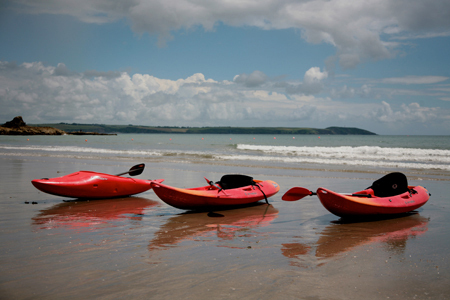 A week’s stay at The Big Beautiful Beach House out of season starts from £3,130. Let’s say there are four families of four in your party – that’s less than a grand a week each. For this view!